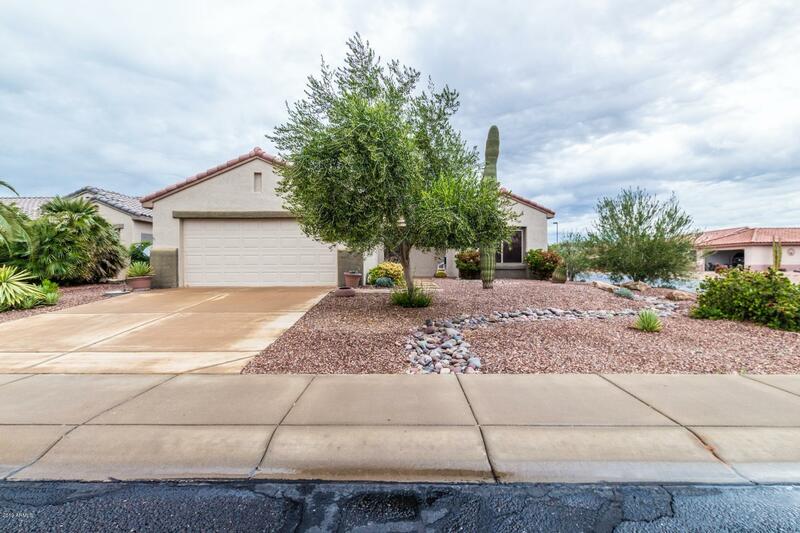 All SUN CITY GRAND-DESERT MES homes currently listed for sale in Surprise as of 04/23/2019 are shown below. You can change the search criteria at any time by pressing the 'Change Search' button below. "Nestled in the BEAUTIFUL SCG Del Webb Master Plan, this UPGRADED KIVA model has had a stunning makeover. Private Corner, FENCED in, Cul-De-Sac lot with home facing south. Remodel includes updated: cabinets, granite kitchen counters, fresh paint interior/exterior, TRANE AC, solar tubes, extended covered patio, new floors, toilets, SS appliances, disposal, water heater, and security doors. Hurry, Hurry ... this one will go quick."